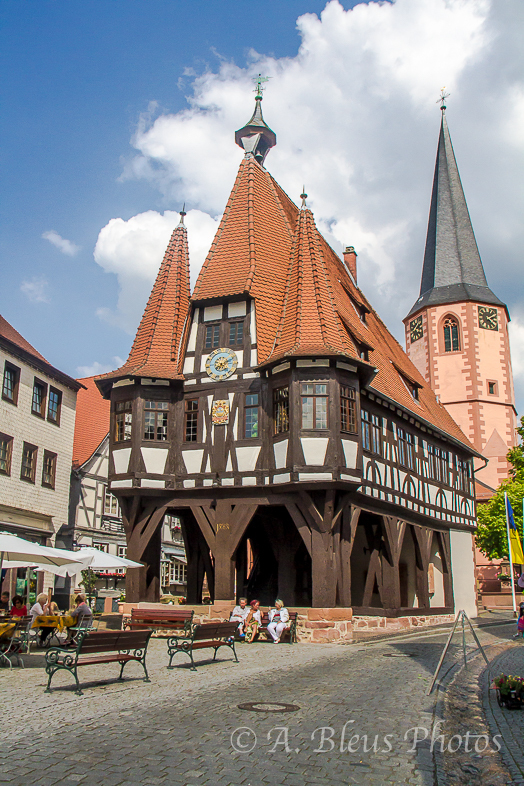 Frontal view of this magnificent half-timbered structure resting on stilts and in the background te Reformed Church. One of the most often photographed old frame-work buildings in Germany, I think. Indeed. This photo appears everywhere, and such an awesome structure.